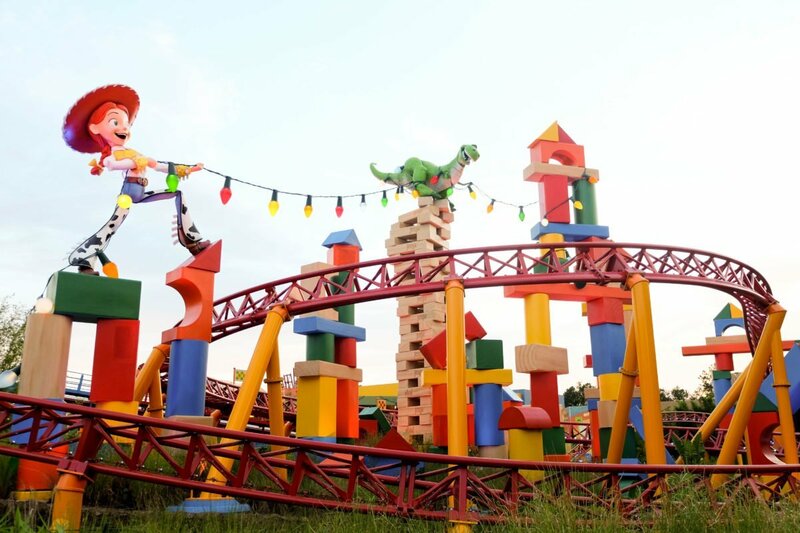 Toy Story Land is finally here! Get ready to be shrunk down to the size of a toy and explore Andy’s Backyard! 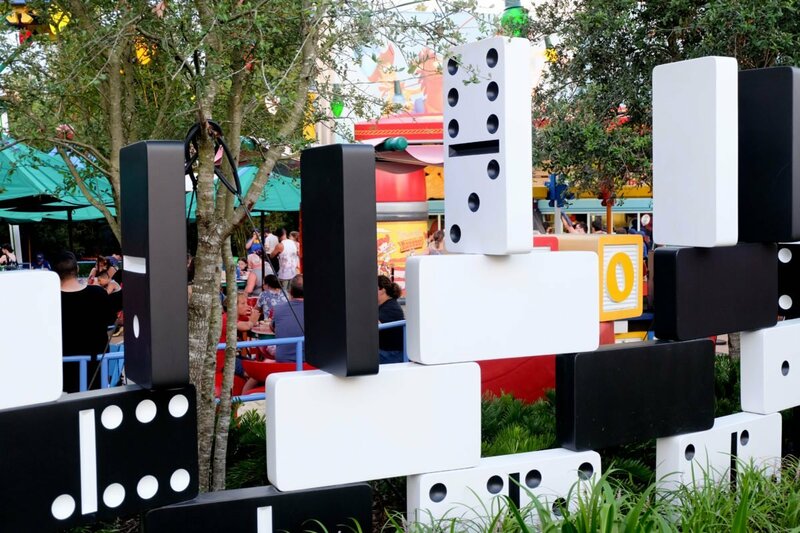 Toy Story Land has finally opened up in Hollywood Studios at Walt Disney World and we are so excited to share all of the BIG details with you. 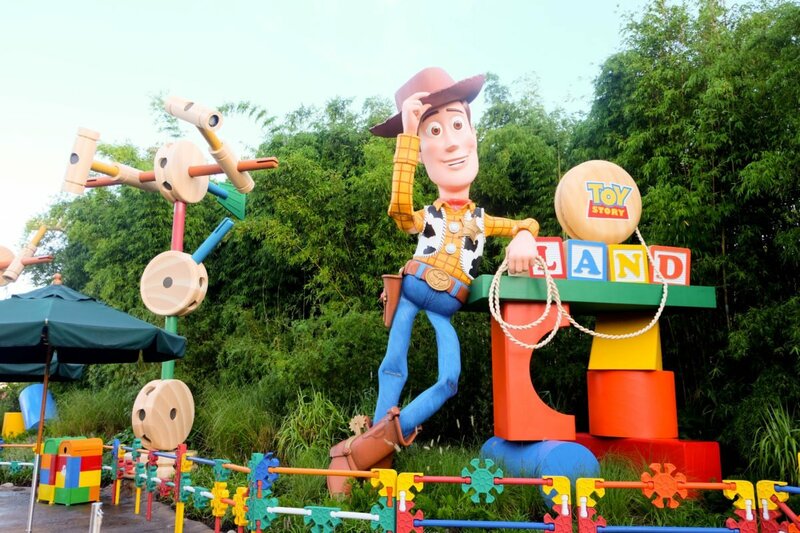 In Toy Story Land, you are shrunk to the size of toy and spending time in Andy’s backyard. This means everything is big and the details that have been put into this space are just incredible. 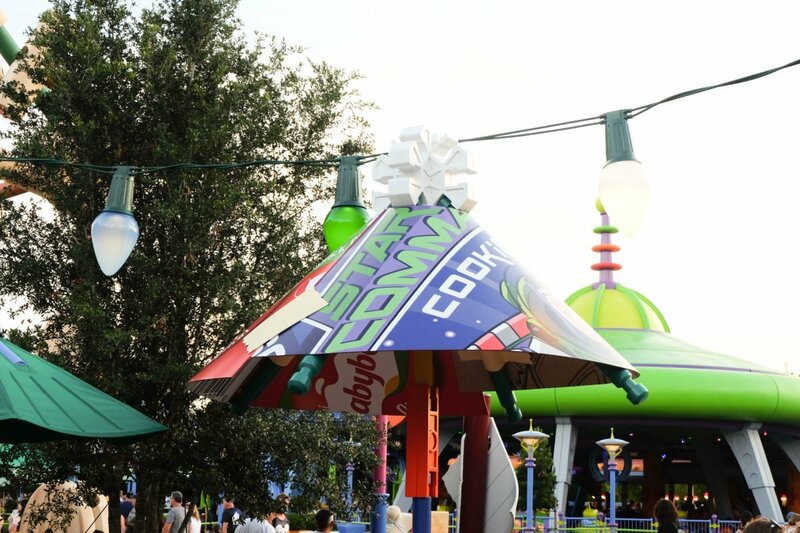 Slinky Dog Dash was created for all of Andy’s toys to play on and Alien Swirling Saucers is a cute little snap together play set Andy got from Pizza Planet. Woody’s Lunchbox is his actual lunch box, complete with a thermos and straws to keep it all together. If you pay attention, you can even see Andy’s footprints throughout the land. 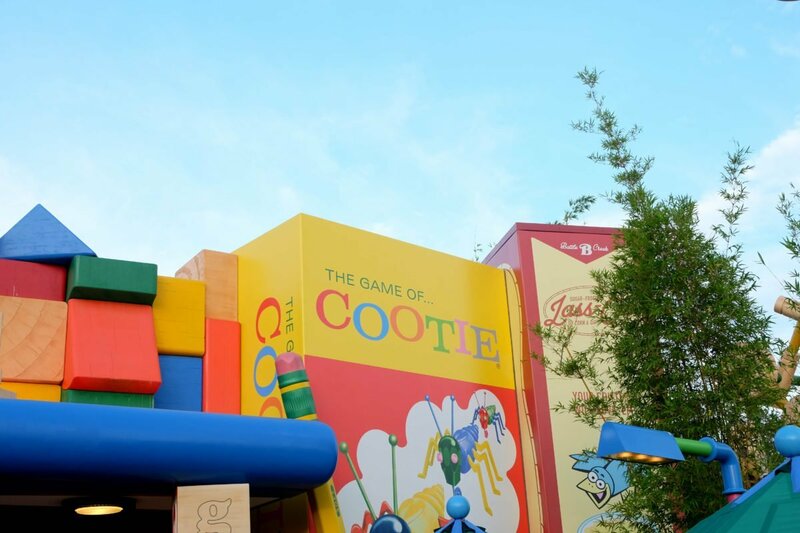 Everything in Toy Story Land will bring you back to your childhood, whether its the Candyland board game wall in the Midway Mania queue, the bright primary colors, Lincoln log benches, or the cooties and scrabble pieces that are the gateway for the restrooms. 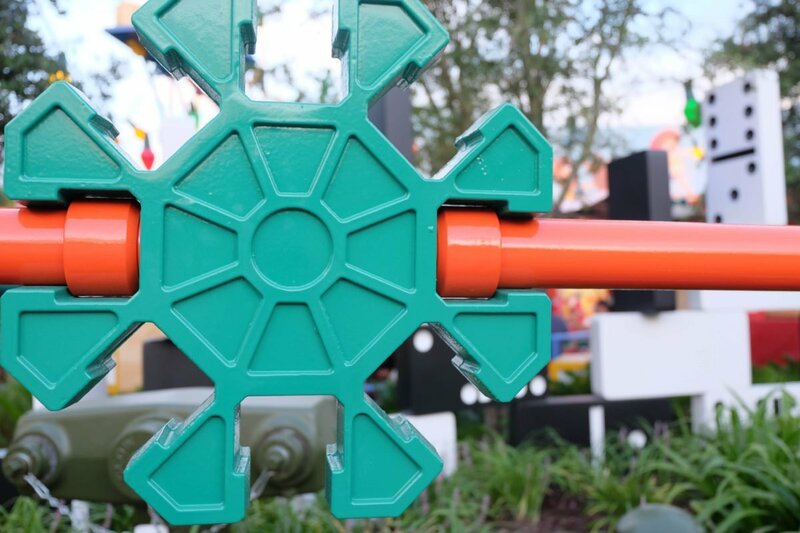 Let’s talk the thing that will take up most of your time in Toy Story Land-the rides! 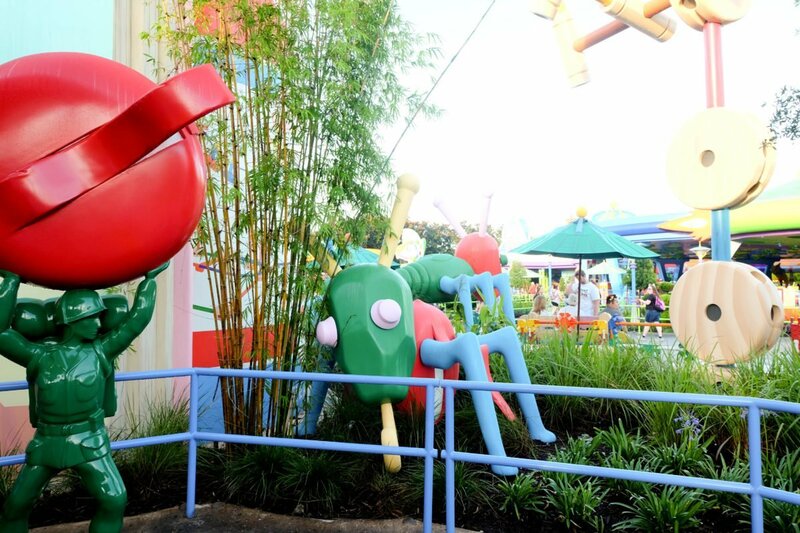 In Toy Story Land there are three rides; Slinky Dog Dash, Midway Mania and Alien Swirling Saucers. It’s important to know that when you are planning fast passes, only ONE of these can be chosen per day. They are considered Tier One experiences, so choose wisely! 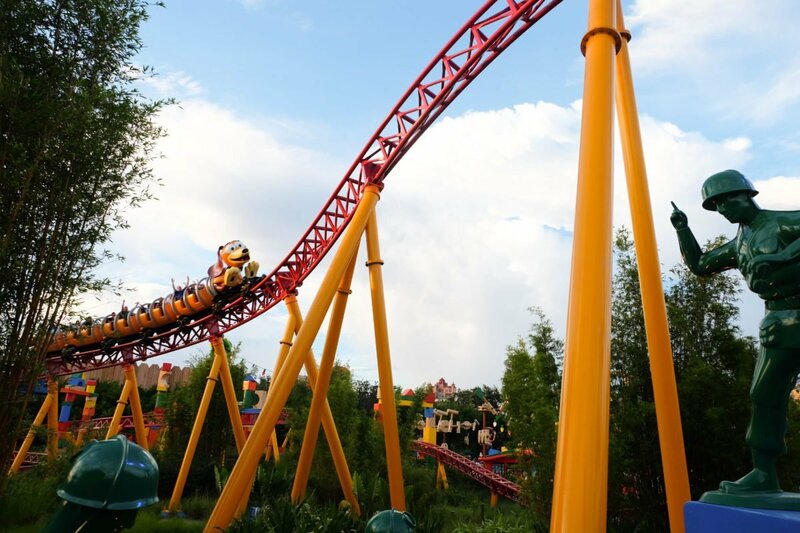 At present time, and in our opinion probably for a while, Slinky Dog Dash is going to be your most difficult ride to get. 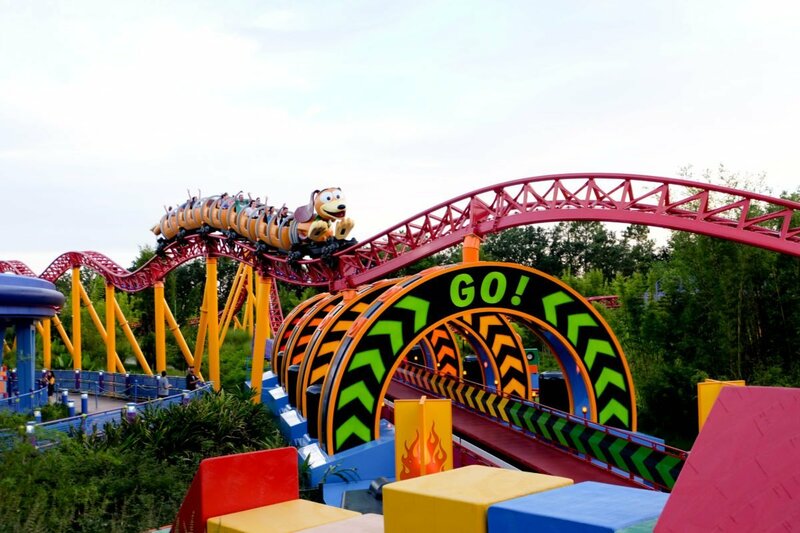 Slinky Dog Dash (again, our opinion) is currently our favorite roller coaster at Walt Disney World. Growing up an hour from Cedar Point, the Roller Coaster Capital of the World, we can be kind of snobby when it comes to roller coasters. This ride is long enough to feel worth the wait, fast enough to be thrilling and most importantly, smooth enough that there are times that it looks and feels like you’re floating on clouds. 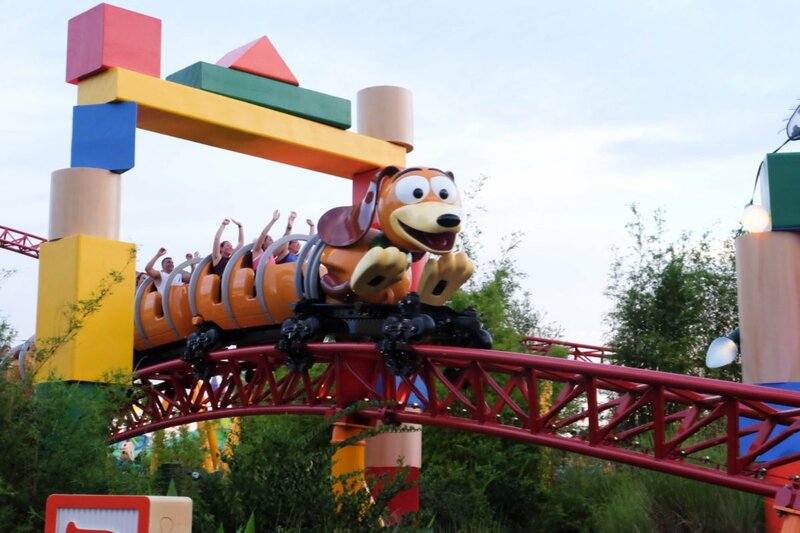 Slinky Dog Dash covers a lot of ground in Andy’s Backyard. 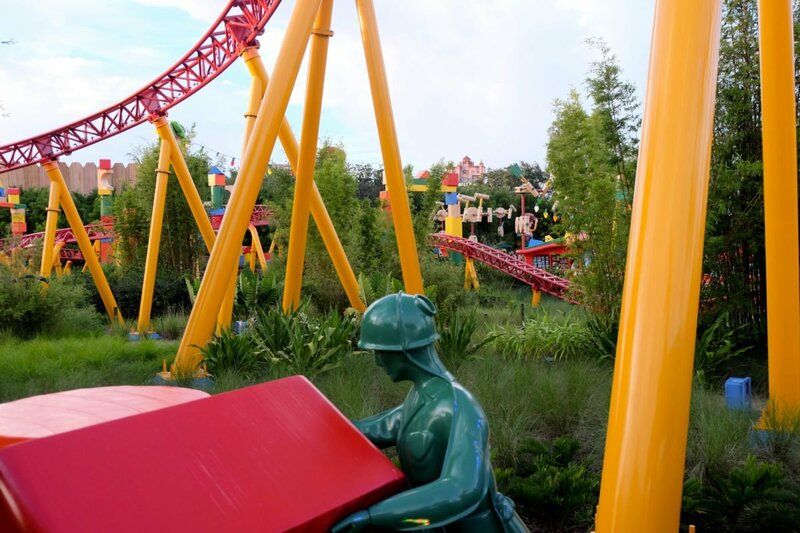 No matter what you will get a great view of Toy Story Land from the coaster. Its fantastic any time of day, but we highly recommend trying it at night for an even better experience. The track lights up and the bird’s eye view of the lit up park is really just stunning. 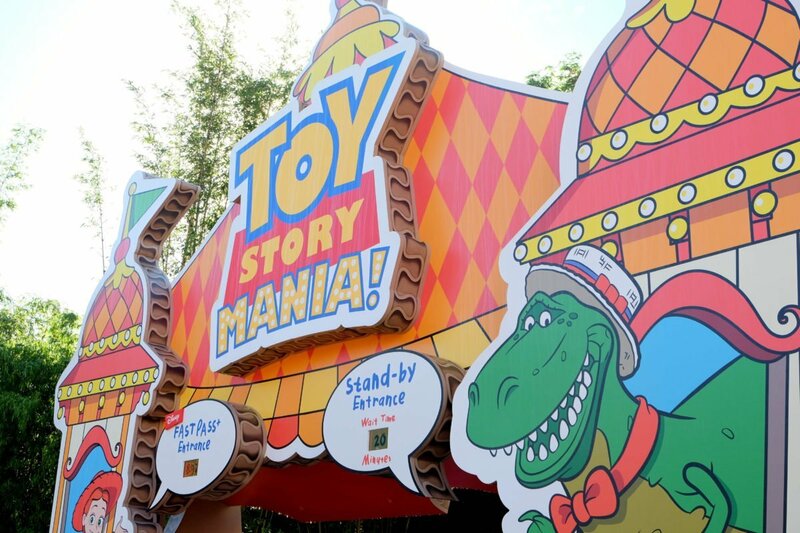 Toy Story Mania is the same classic Toy Story Ride you’ve always loved at Hollywood Studios, complete with 3D glasses, but with an even better queue. 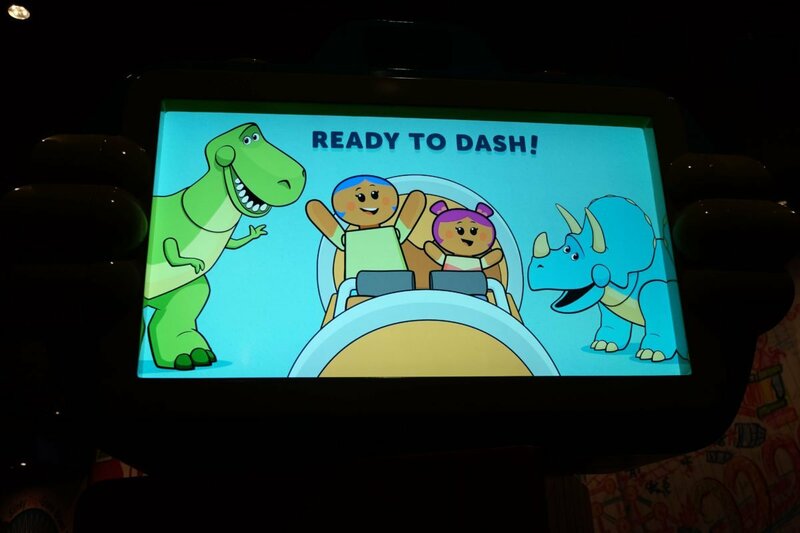 Luckily, due to the popularity of Slinky Dog Dash, we found that Toy Story Mania’s wait times were nowhere near the 2 hour wait times we had remembered in the past. 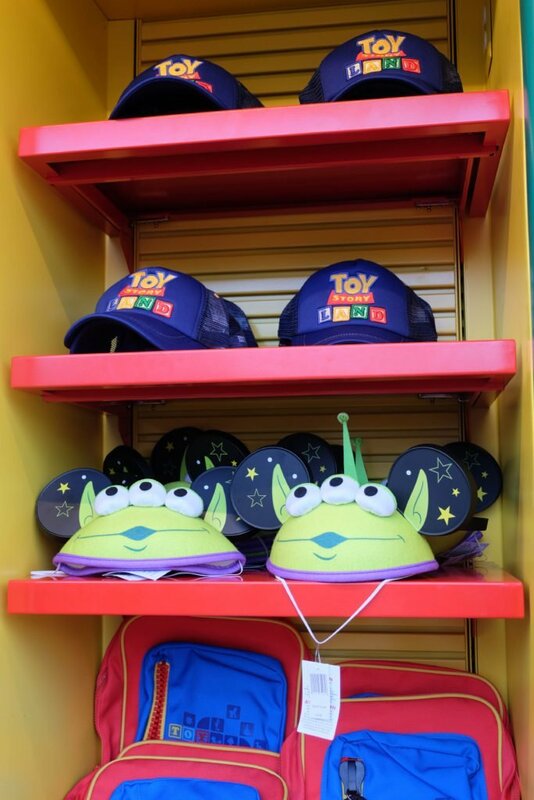 Every morning we were in Toy Story Land, we noticed Toy Story Mania was a thirty minute or less wait. However, as the day went on that time did go up. So just remember our number one tip always, plan to get there early! 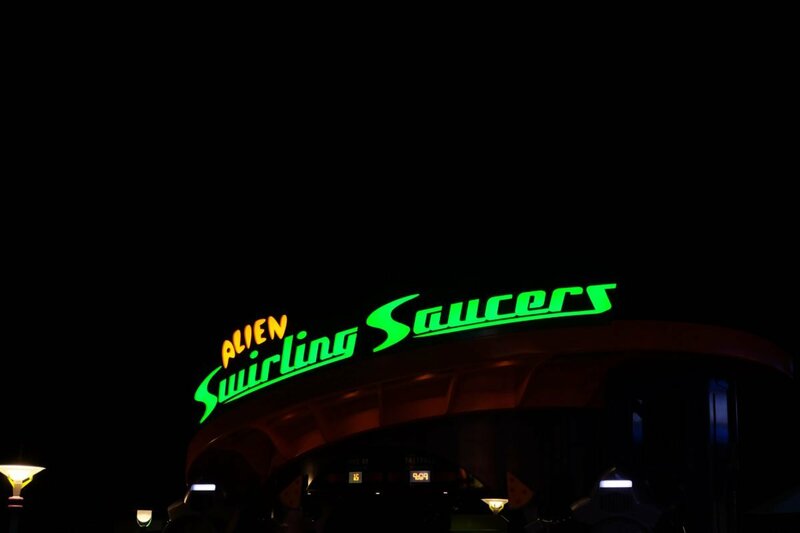 Alien Swirling Saucers is essentially the same ride as Mater’s Junkyard Jamboree if you’ve ever been to California Adventure in Disneyland. If you haven’t, that’s ok too. Its a pretty simple carnival ride concept. 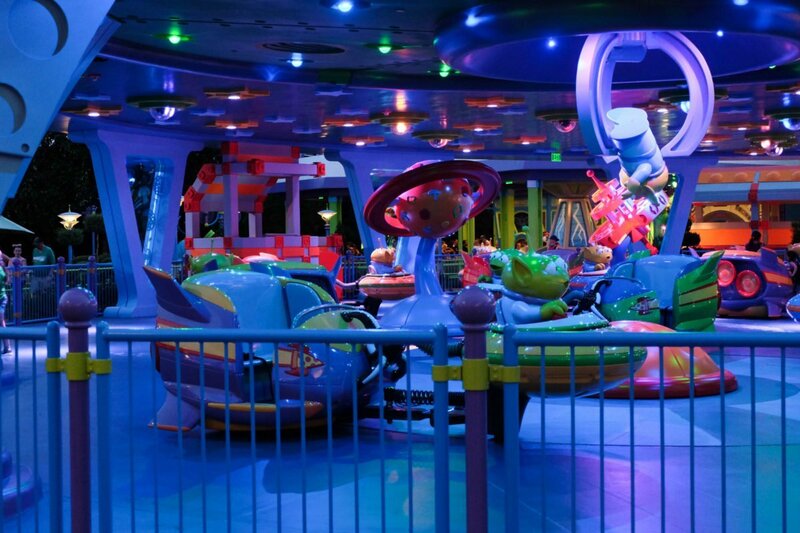 The ride will basically slide your saucer back and forth across the floor and whip you around the play set. Six different mix tracks of Toy Story music plays in the background. 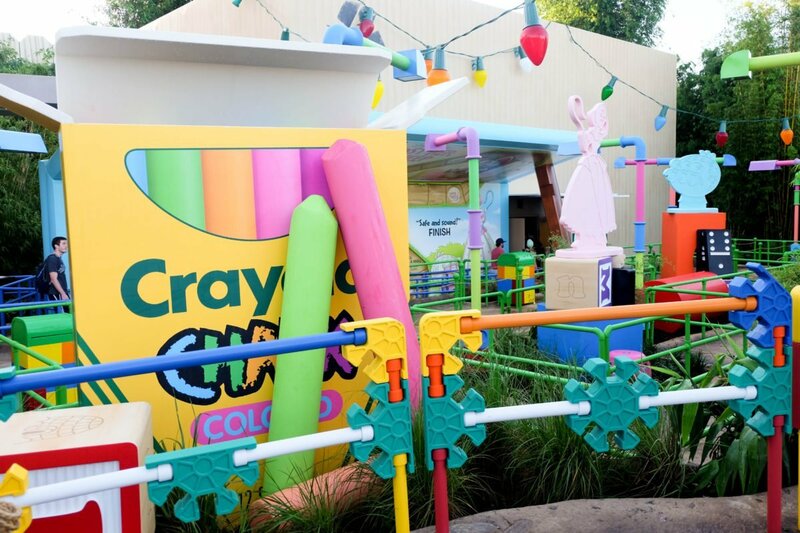 This is a super cute ride that little ones will love and honestly we really loved it too. We waited about 25 minutes to ride it and honestly, we probably wouldn’t recommend waiting much longer than that. 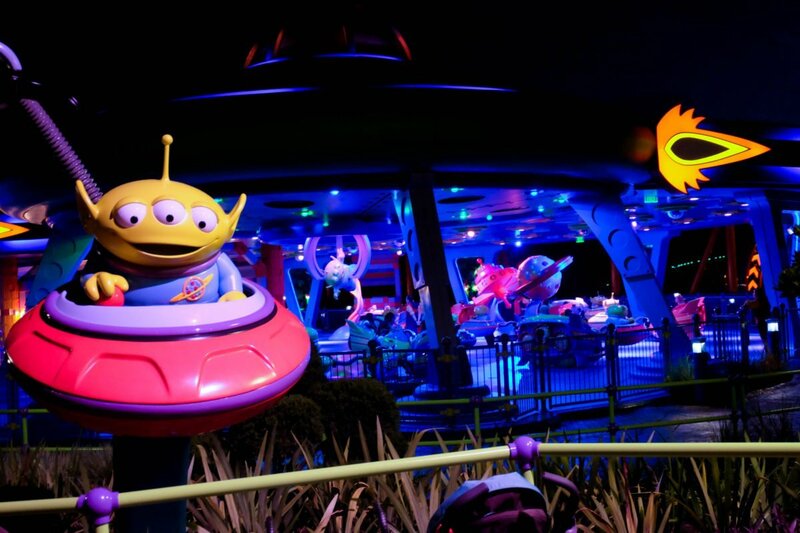 While Alien Swirling Saucers is absolutely adorable and we are so happy those little aliens are finally getting their moment, the ride is pretty short. 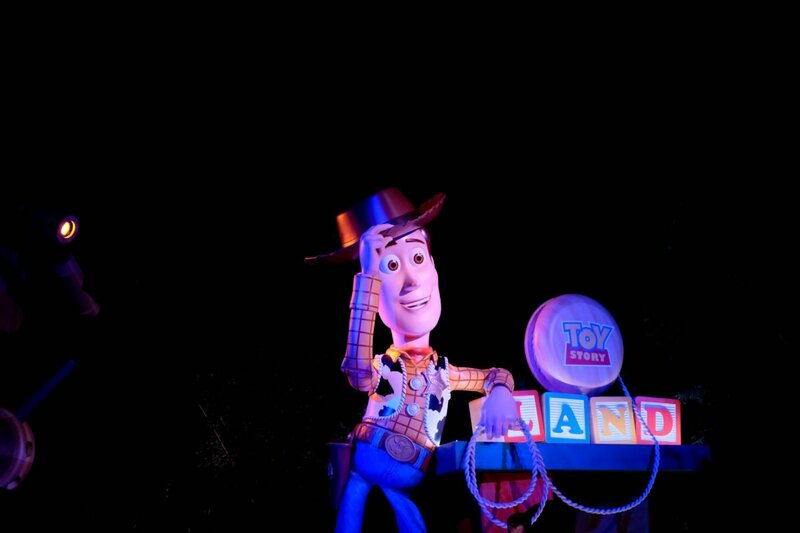 If it’s the only thing you want to ride in Toy Story Land, then feel free to wait longer. We think under a half an hour is pretty doable if you time it right. Try to ride during meal times, earlier or later in the day or during other events happening in the Park. With shows and the March of the First order we anticipate most people will be exiting Toy Story Land. Tip: The queues for Slinky Dog Dash and Alien Swirling Saucers are not that well shaded at the back of the line when the line is really long. 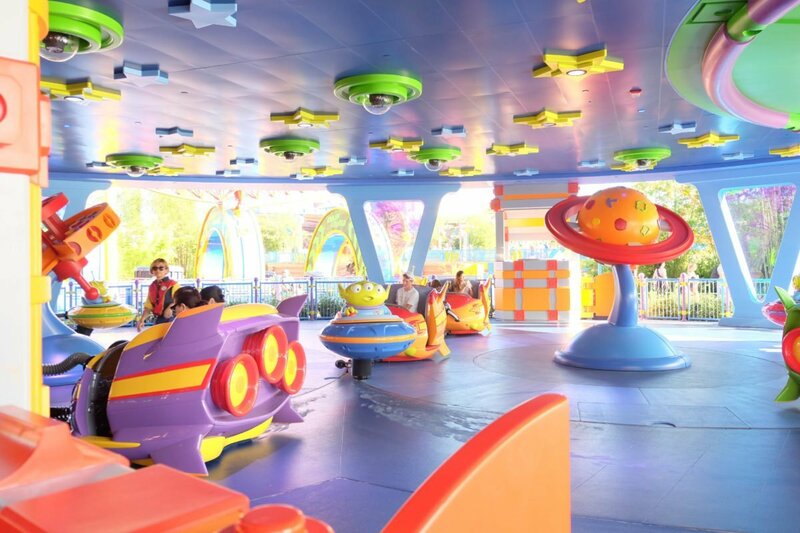 Be sure you either have an umbrella when it’s hot or try to plan to wait only during around 75 minute wait periods for Slinky Dog Dash and 40 minute waits for Alien Swirling Saucers. Disney did seem to be aware of the issue as they started putting up large umbrellas the second day we were there, but just be aware that this is a current issue with these queues. 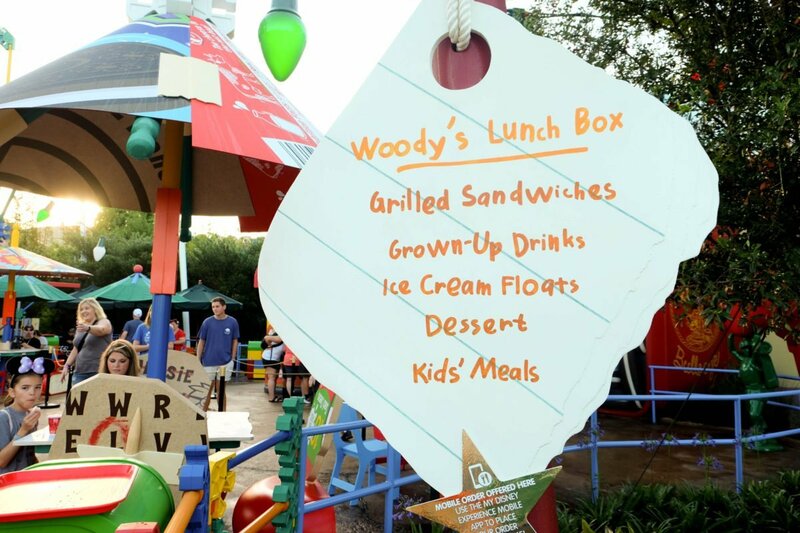 There is only one place to get food in Toy Story Land and that’s at Woody’s Lunch Box. 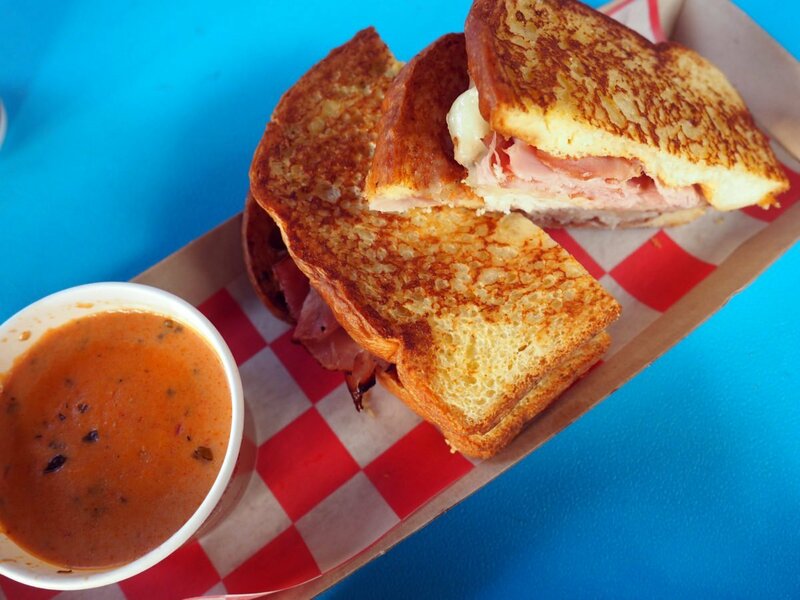 Woody’s Lunch Box is a quick serve restaurant(counter service) with outdoor seating. 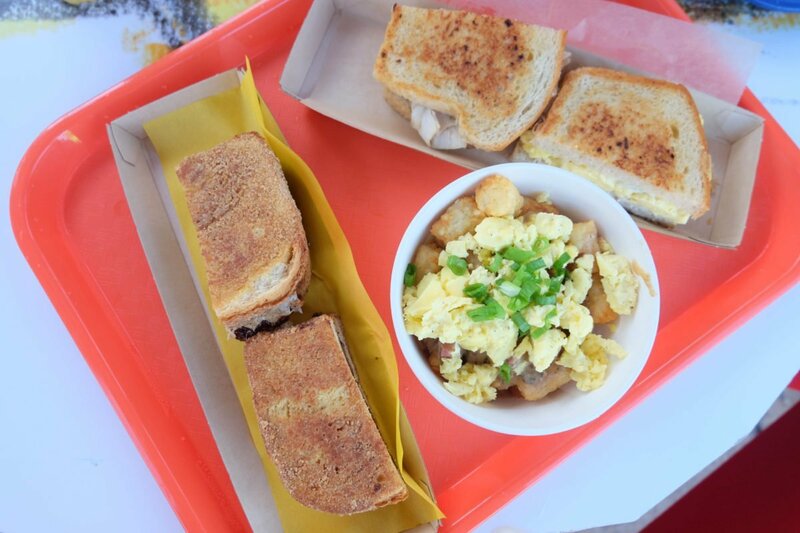 Woody’s Lunch Box offers breakfast, lunch and dinner, with the lunch and dinner menu being the same. 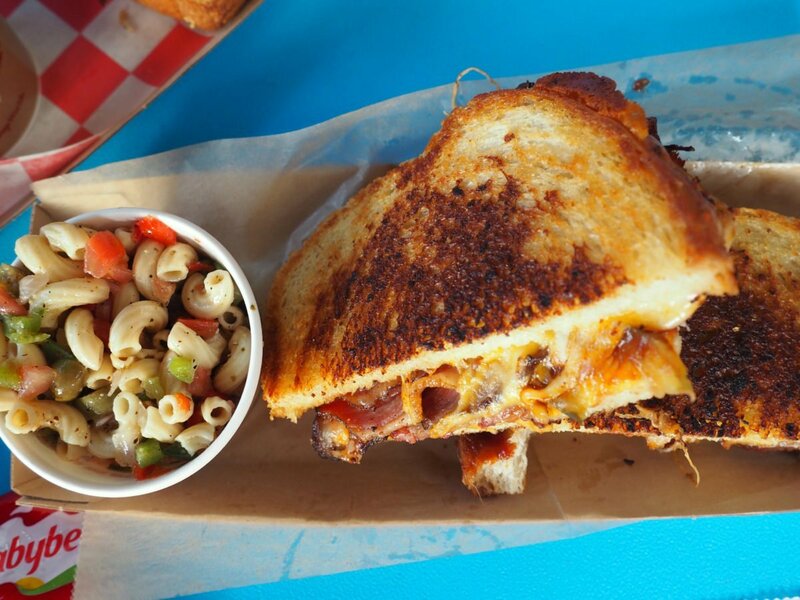 We will have a full review of Woody’s Lunchbox coming soon, but here are a few quick tips. 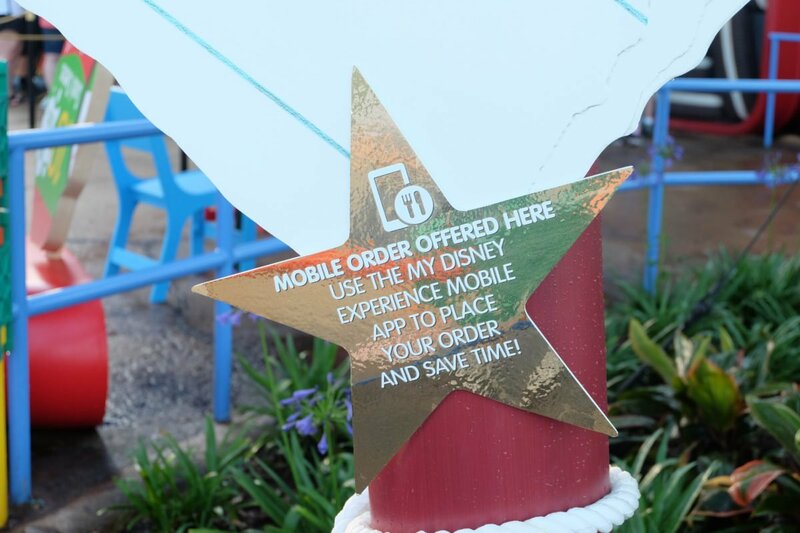 Mobile Order! This place seemed to get really busy, really quick and at the moment, doesn’t appear to have the proper planning to accommodate large numbers of people at a time. Seating is limited, the queue is awkward and seemed confusing for most people and service was a bit slow. 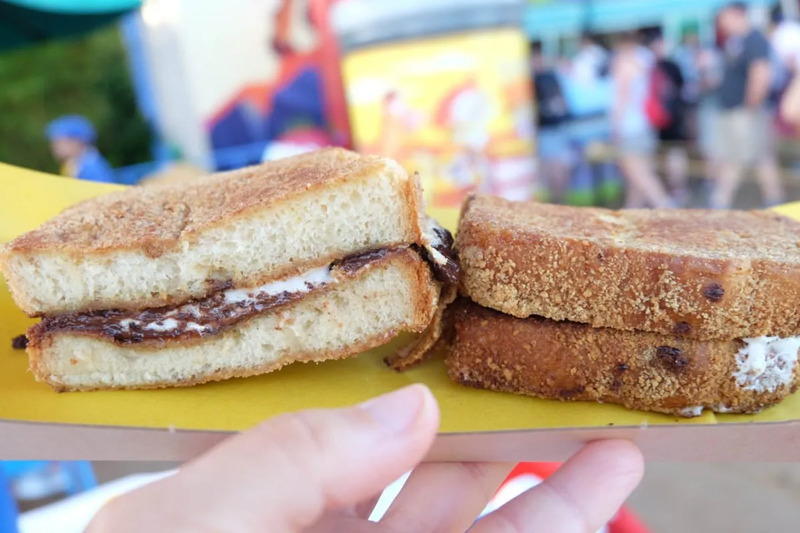 These are all kinks we are hoping will be resolved after Toy Story Land has been open for a while, but we recommend mobile order regardless so why not save time and mobile order at Woody’s Lunchbox too?! There are quite a few different options available, but keep in mind-these are LUNCHBOX foods essentially. 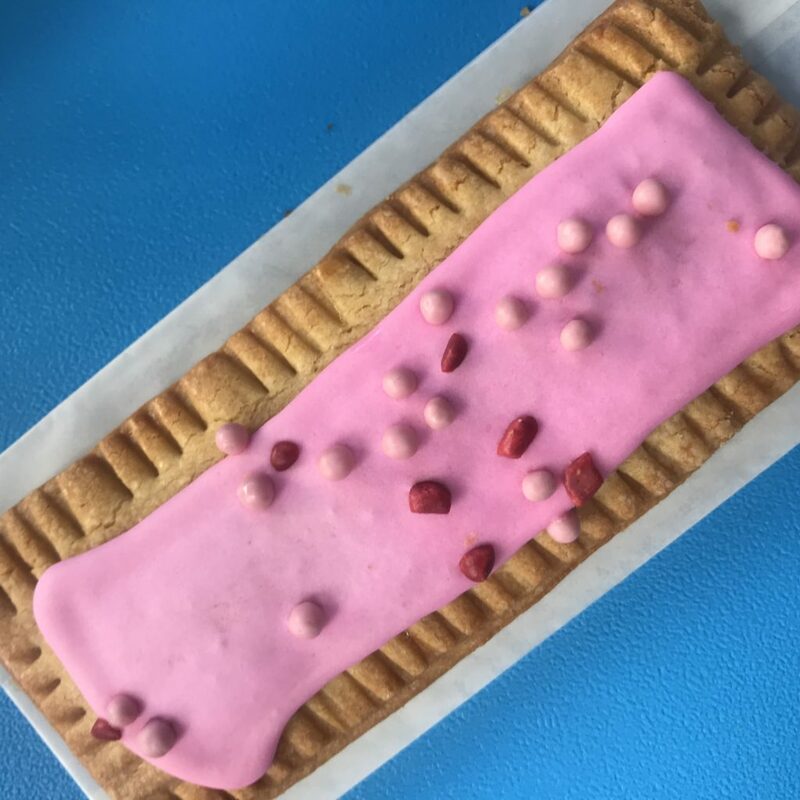 They aren’t anything fancy and will basically remind you of your packed lunches as a kid! 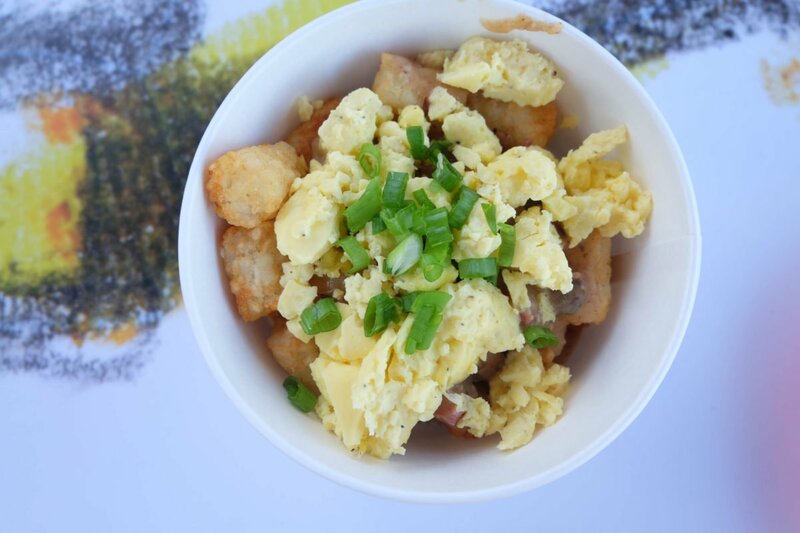 Our Favorite Foods: We had a few favorites and highly recommend the Breakfast Bowl at breakfast and the Monte Cristo, Tomato Basil soup and Raspberry Tart for other meals. If you’re going with a group for the first time, try for everyone to get something different! The menu is fairly small so its easy to try everything if you’re in a group that is willing to share. If there’s one thing you guys should know about us, we love the details! We love looking for hidden mickeys, historical references on Main Street and noticing the smells in every area of the Parks. 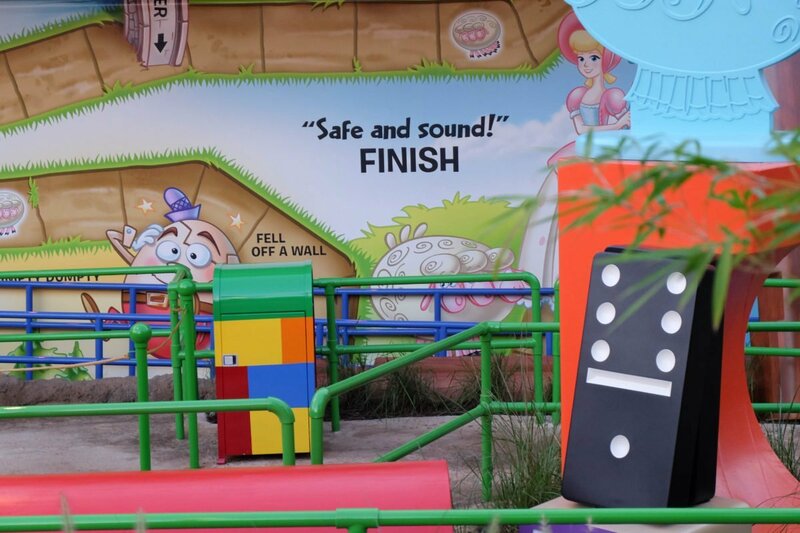 The details in Toy Story Land are really what makes it as spectacular as it is in our opinion. Be sure to take the time to notice them. The Imagineers have put thought into every inch of Andy’s Backyard and the result has been more impressive than we could have imagined! Take a look at Woody’s Lunchbox, for example. The actual façade of the restaurant is a lunchbox. It is being held open by a thermos. Seats are made up of babybel cheese, straws hold up the makeshift umbrellas, which are made of none other than cardboard from Andy’s toys. They are held together by pieces of tape. It looks exactly like something I would have made for my toys when I was a little girl or for my daughter’s toys. 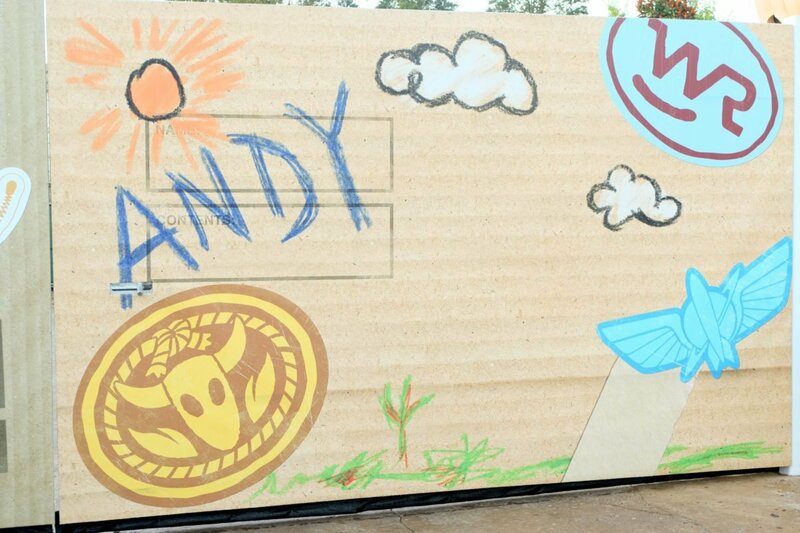 As I mentioned before, Andy’s footprints are everywhere in Toy Story Land. Take the time to notice them! They’re huge and make for such a cute photo. 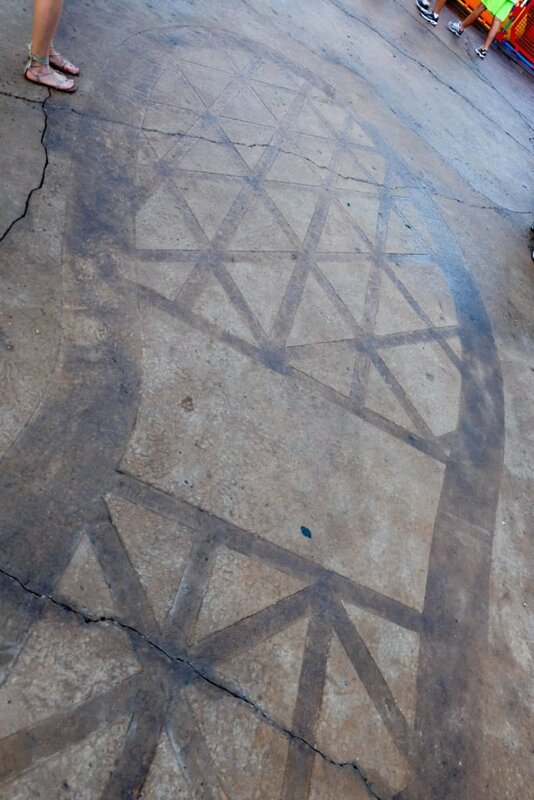 We noticed so many people just walking by them and when we would wait for the crowds to clear out so we could get a picture, other guests would notice and we could tell they had no idea the footprints were even there. Even the restrooms are cute! 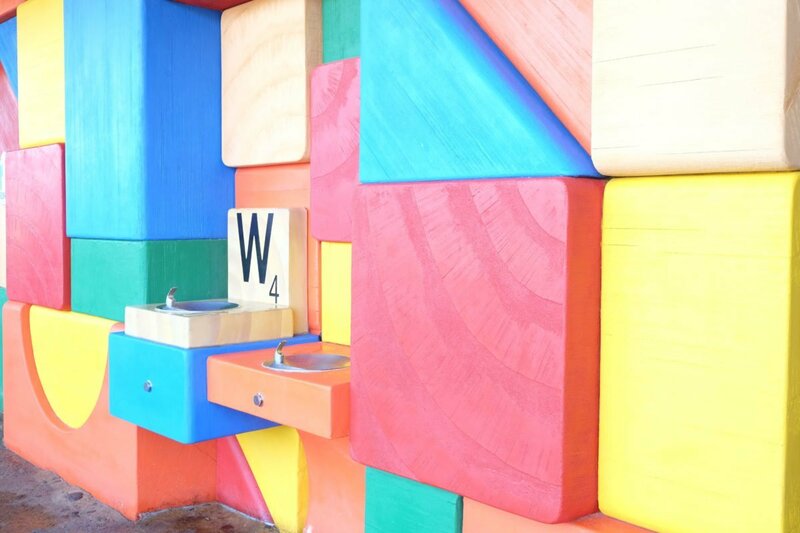 Made up of brightly colored building blocks, cooties(love those!) 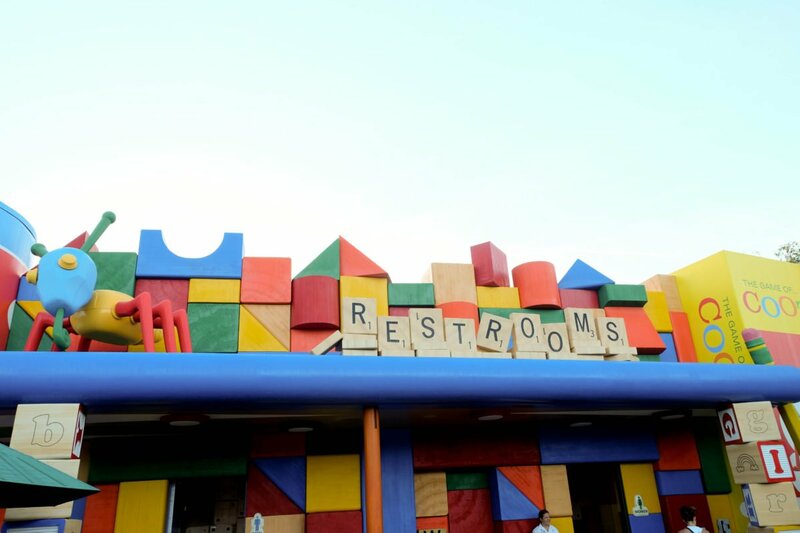 and scrabble pieces, you’ll find yourself snapping photos of yet another restroom area at Walt Disney World. Strange?! Maybe, but who cares?! It’s adorable and we love it. 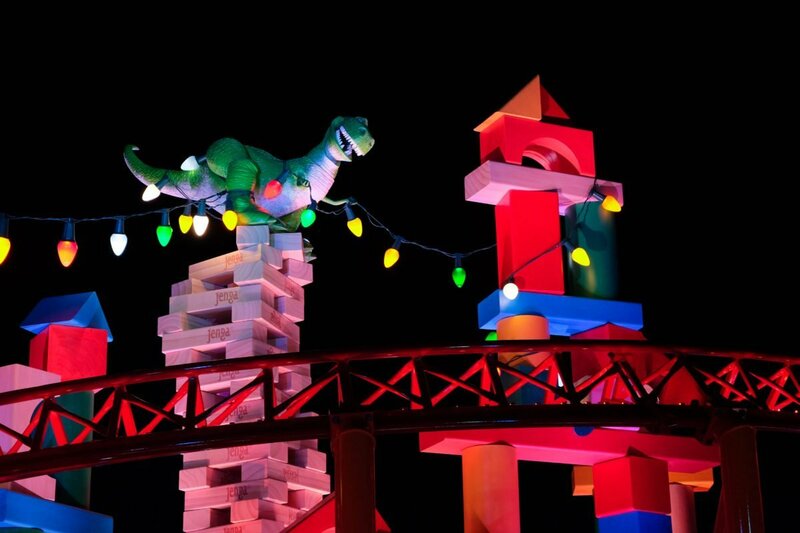 As of right now, the only “entertainment” that Toy Story Land has is a little show featuring everyone’s favorite toy soldiers. They march in a small drum corps-making my marching band heart so happy!- and watching them pick up their plastic feet to the beat of the drums is just magical. The toy soldiers recruit new soldiers into the Platoon and incorporate play into the show and its just such a fun little parade/show to watch. The shows occur throughout the day, so just keep your eyes peeled! The toy soldiers also interact with guests throughout the day just at random, sometimes giving missions or training sessions. So fun! 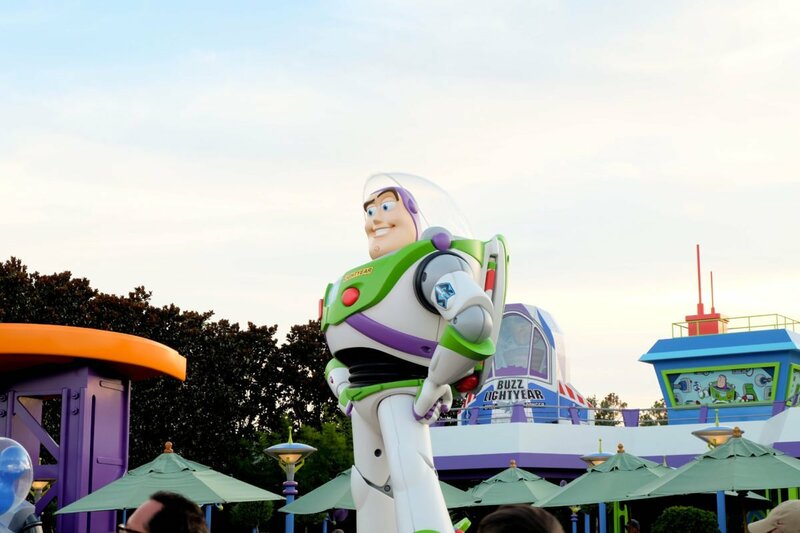 You can definitely plan on meeting all of your favorite Toy Story characters in Andy’s Backyard! And now, with even more fun backdrops! 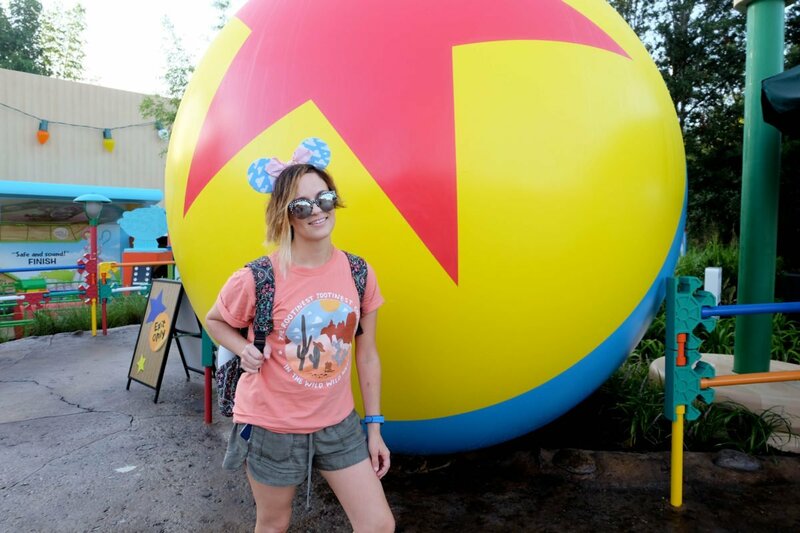 Photopass photographers are available throughout Toy Story Land ready to capture your best pose with your favorite Toys! 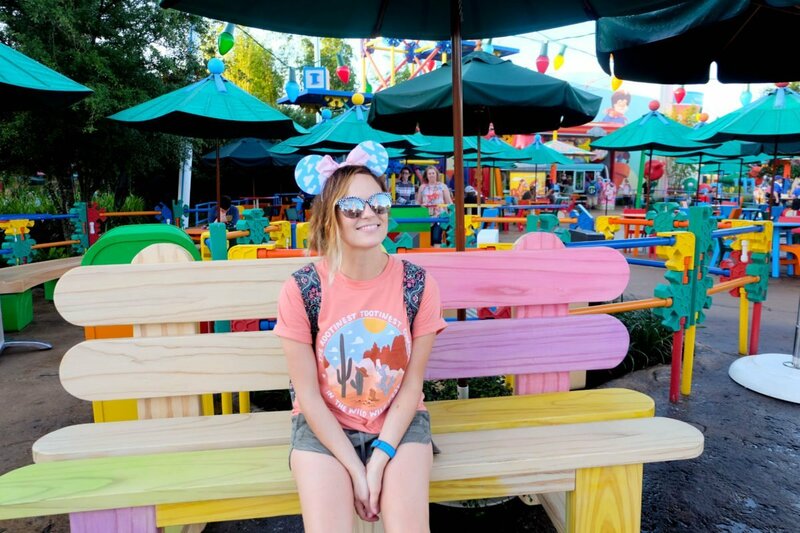 Did you even go to Toy Story Land if you don’t have the photos to prove it?! Well of course you did. But we realize that for most people, being able to have those magical photos at the end of the trip to share with friends on social media is a must. 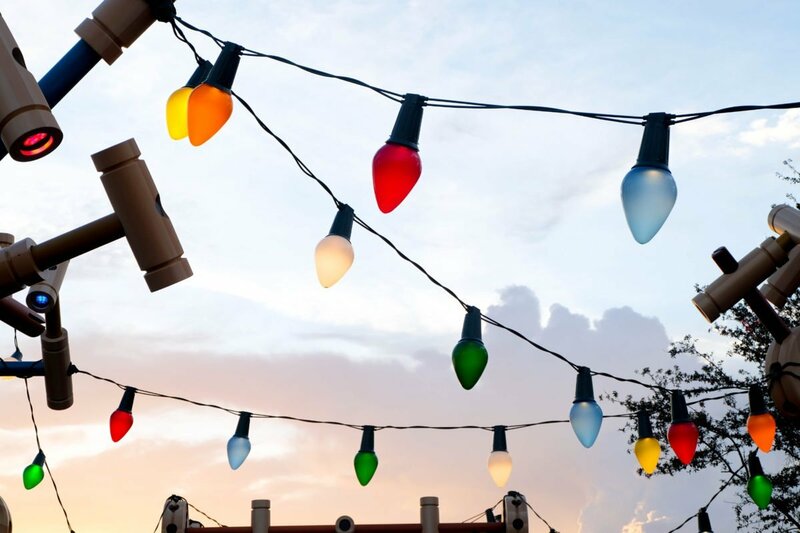 So be sure to hunt down the best photo ops in Andy’s Backyard for all the photo fun. 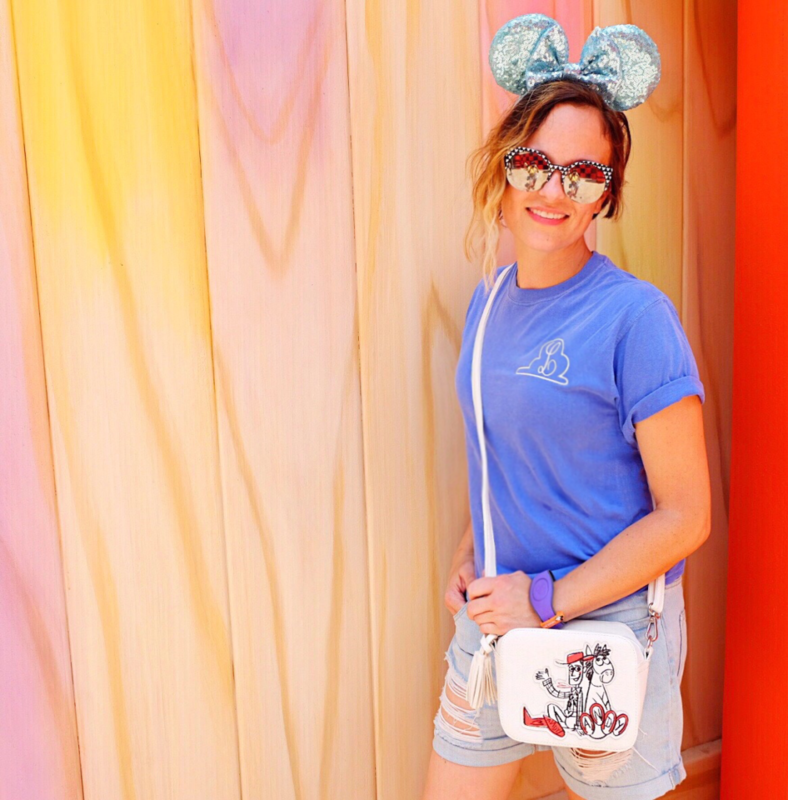 While Toy Story Land has its share of new walls that we can now add to our Walls of Disney list, it also has lots of other fun places to snap a few photos as well. 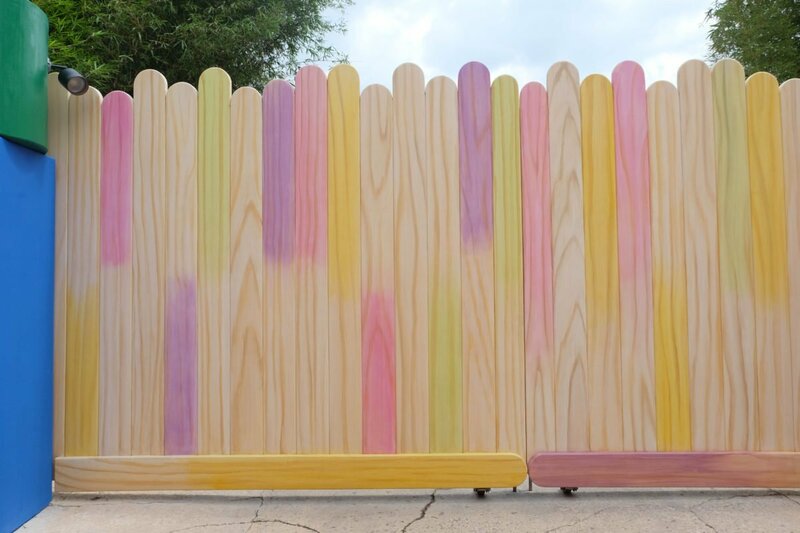 Toy Story Land now has the Popsicle Stick Wall and Checkerboard Wall which are both at the exit of Midway Mania. No need to ride the ride just for the photos, just enter where you see the giant Luxo Ball. The Luxo Ball itself is a great place to take a few pictures and we are loving all of the fun poses on social media that people are coming up with for this one! There is a temporary wall that separates Andy’s Backyard and the current Star War’s Galaxy’s Edge construction that is super cute. It likely won’t be around permanently, so grab a picture there while you can! The Woody Statue at the entrance to Toy Story Land itself is a great place to take pictures and we saw Photopass Photographers there all day, so grabbing a quick picture should be easy! 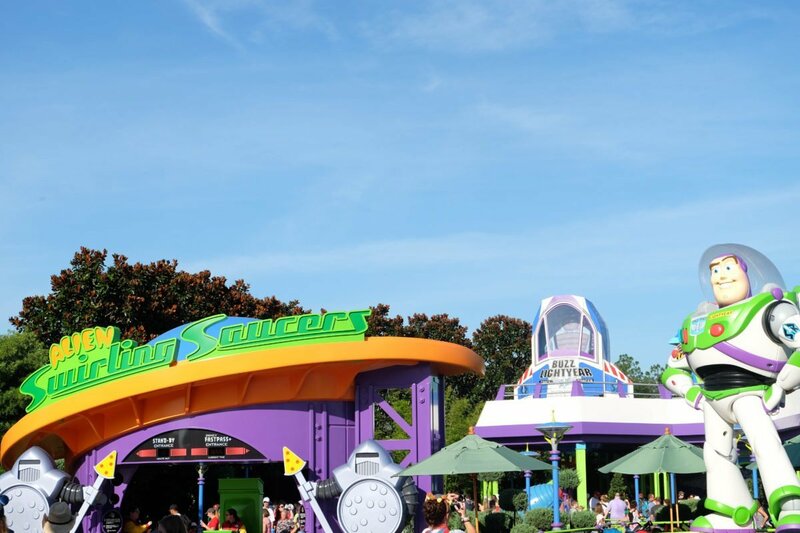 You can find the Buzz Lightyear Statue posing in front Alien Swirling Saucers. Honestly, there are SO many photo opportunities in Toy Story Land and we are really just scratching the surface here. Tip: Be silly, be yourself, have fun and smile :). Pictures don’t have to be perfect to be awesome! So the biggest question we were asked while on our trip?! 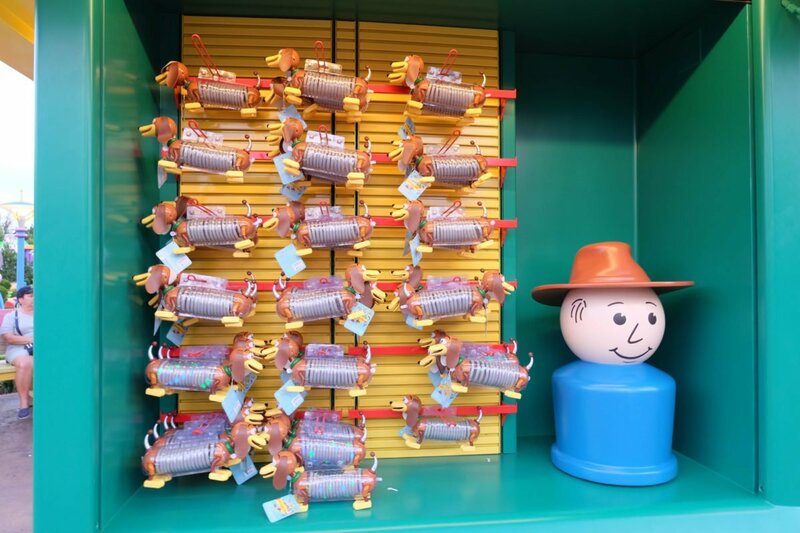 What is your FastPass strategy for Toy Story Land? 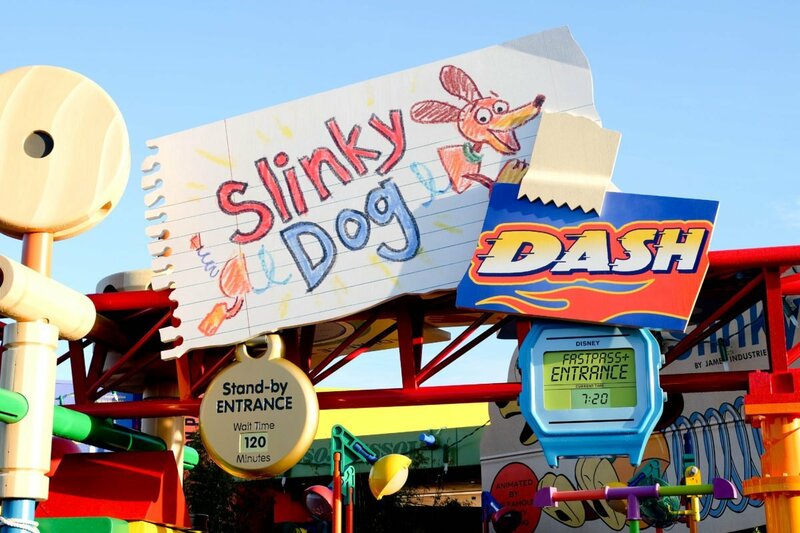 Personally, we would recommend either using your Fast Pass for Slinky Dog Dash or Midway Mania. 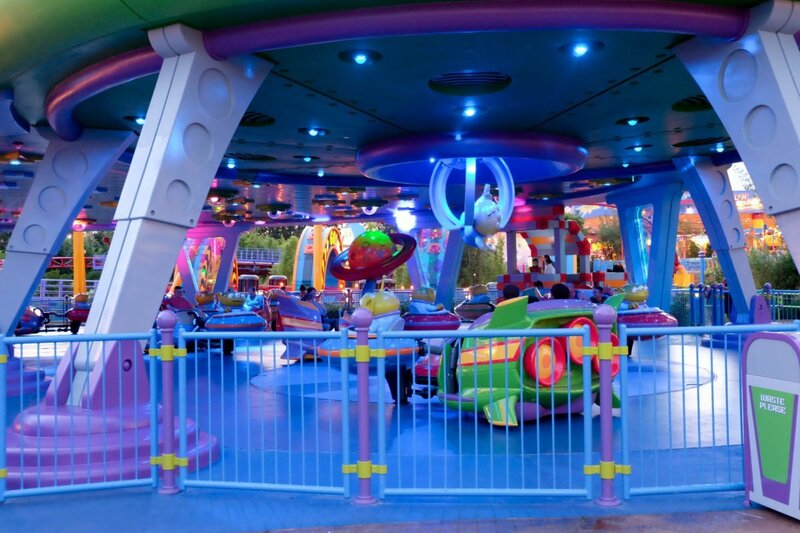 Get there early to ride whichever you didn’t get the Fast Pass for and then hop on Alien Swirling Saucers afterwards before the Park starts to fill up with crowds. If by chance you weren’t able to get a Fastpass for either of those, but want to ride them all, being at Hollywood Studios at rope drop(Park opening) is a must. Book it back to Slinky, which will have the longest queue first and then go directly to Midway Mania after that, followed by Aliens. Or if you don’t mind waiting in line, disregard everything we just told you! 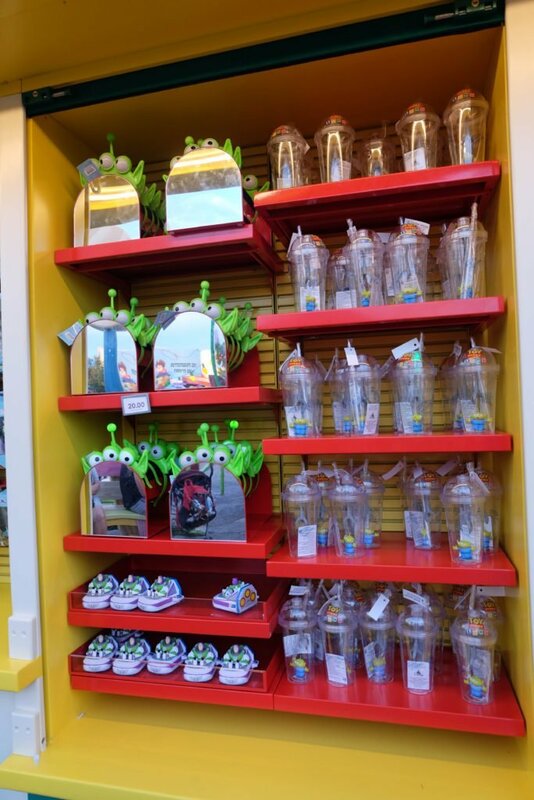 Throughout Toy Story Land, you will find super cute little stands with merch for the land. 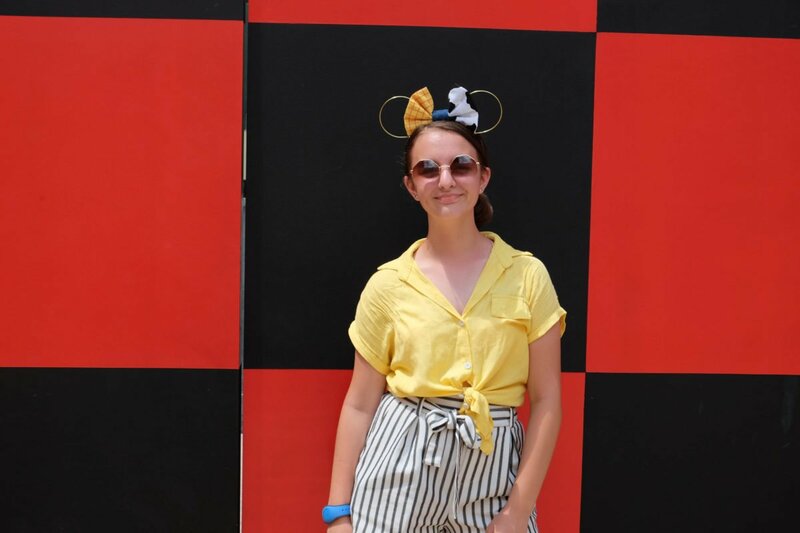 Our favorites were the Aliens hats and headbands, but it seemed the fan favorite was definitely the Slinky Dog headband! 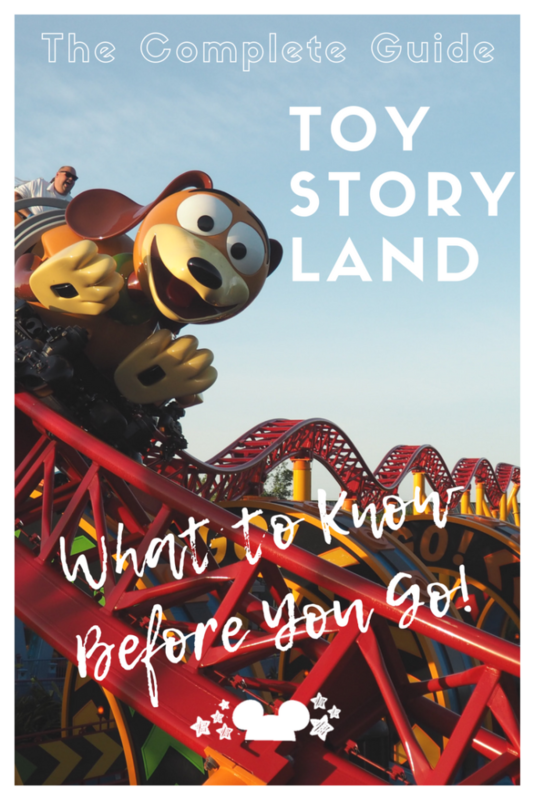 How long should I plan to spend in Toy Story Land? That’s totally up to you! Keep in mind, Toy Story Land is small. Have you been to Pandora yet? Its smaller than that. Toy Story Land is about 11 acres, which isn’t really that big and about an acre smaller than Pandora. If you follow our FastPass strategy, you wont need more than a few hours there unless you really just want to soak it all in. If you end up having to wait in long lines, you probably still wont need more than half a day. 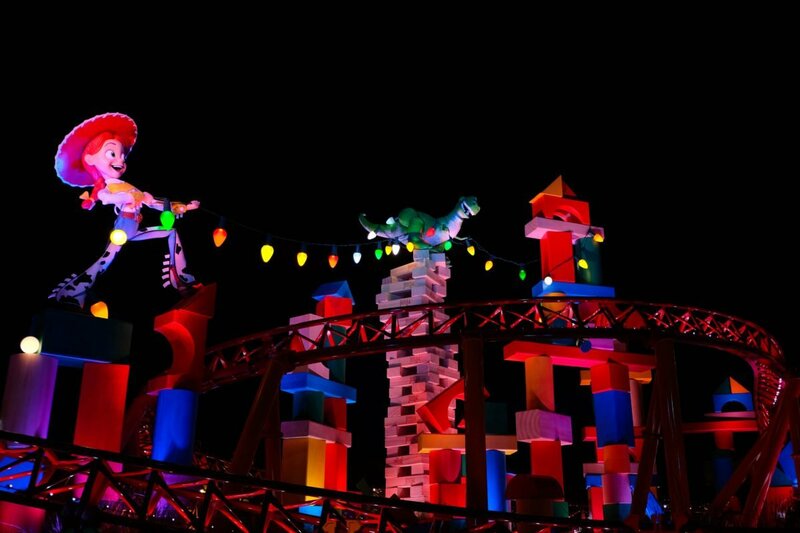 That being said, we recommend that you experience Toy Story Land both at day and night. The nighttime experience is pretty incredible and shouldn’t be missed. So there you have it! Our full review of Toy Story Land. What did we leave out? What questions do you have? We hope this has been helpful and we hope you have a blast playing BIG!